We have now entered the new year so let us look back at 2017 and see what it offered us! The previous year was very generous in the area of hypertension and cardiovascular prevention research, and so there is a substantial number of good reads. From research articles to expert reviews, we present you a list of a few choice articles of interest for the practicing physician that are either representative of trending research or caught our attention for their intriguing subject. Böhm M, Schumacher H, PhD, Teo KK et al. Lancet. 2017; 389(10085):2226-2237. Mean achieved SBP less than 120 mm Hg during treatment was associated with increased risk of cardiovascular outcomes except for myocardial infarction and stroke. These data suggest that the lowest blood pressure possible is not necessarily the optimal target for high-risk patients, although it is not possible to rule out some effect of reverse causality. Corrao G, Rea F, Monzio Compagnoni M et al. J Hypertens. 2017; 35(7):1432-1441. Adherence with antihypertensive drug therapy reduced the risk of cardiovascular morbidity in patients aged 85 years or more, the benefit including heart failure and stroke, although not MI, and extending to all-cause death. Thomopoulos C, Parati G, Zanchetti A. J Hypertens. 2017; 35(11):2138-2149. A high level of cardiovascular risk is not in itself a restraint to target at SBP values less than 130 mmHg, if treatment is well tolerated. Though a high cardiovascular risk associated with diabetes is not an indication for aiming at SBP less than 130 mmHg, current evidence is that SBP values slightly below 130 mmHg are not associated with harm. Day-to-day blood pressure variability and risk of dementia in a general Japanese elderly Population: The Hisayama Study. Oishi E, Ohara T, Sakata S et al. Circulation. 2017; 136(6):516-525. 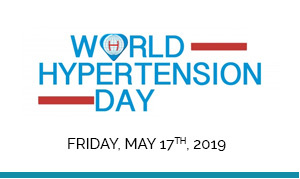 Our findings suggest that increased day-to-day blood pressure variability is, independently of average home blood pressure, a significant risk factor for the development of all-cause dementia, vascular dementia, and Alzheimer disease in the general elderly Japanese population. Wang TD, Tan RS, Lee HY et al. Hypertension. 2017; 69(1):32-41. Sacubitril/valsartan compared with valsartan was associated with short-term increases in natriuresis and diuresis, superior office and ambulatory blood pressure control, and significantly reduced N-terminal pro B-type natriuretic peptide levels in Asian patients with salt sensitive hypertension. Berlowitz DR, Foy CG, Kazis LE et al. N Engl J Med. 2017; 377(8):733-744. Patient-reported outcomes among participants who received intensive treatment, which targeted a systolic blood pressure of less than 120 mm Hg, were similar to those among participants who received standard treatment, including among participants with decreased physical or cognitive function. de la Sierra A, Vinyoles E, Banegas JR et al. J Hypertens. 2017; 35(12):2388-2394. Prevalence of WCH is dependent on definition criteria. Only diagnostic criteria which considers the normality of all ambulatory periods identifies patients with cardiovascular risk similar to normotensive patients. Liu X, Byrd JB. Am J Hypertens. 2017; 30(6):602-609. Townsend RR, Mahfoud F, Kandzari DE et al. Lancet. 2017; 390(10108):2160-2170. Results from SPYRAL HTN-OFF MED provide biological proof of principle for the blood-pressure-lowering efficacy of renal denervation. Uzhova I, Fuster V, Fernández-Ortiz A et al. J Am Coll Cardiol. 2017; 70(15):1833-1842. Skipping breakfast is associated with an increased odds of prevalent noncoronary and generalized atherosclerosis independently of the presence of conventional CV risk factors. 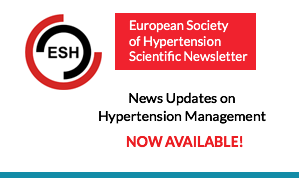 We hope you found some time to take a look at our first picks of articles related to hypertension and published in the previous year. 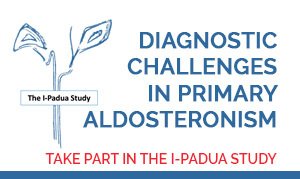 It is time to go through another set of interesting studies that reflect current research trends and investigate everyday clinical questions. If the title and study conclusions intrigue you, a direct link to the journal site is available right below. Chow CK, Thakkar J, Bennett A et al. Lancet. 2017; 389(10073):1035-1042. The findings suggest that the benefits of quarter-dose therapy could be additive across classes and might confer a clinically important reduction in blood pressure. Further examination of the quadpill concept is needed to investigate effectiveness against usual treatment options and longer term tolerability. Shaw BH, Garland EM, Black BK et al. J Hypertens. 2017; 35(5):1019-1025. A sit-to-stand manoeuvre with lower diagnostic cut-offs for orthostatic hypotension provides a simple screening test for orthostatic hypotension in situations wherein a supine-to-standing manoeuvre cannot be easily performed. Terentes-Printzios D, Vlachopoulos C, Xaplanteris P et al. Hypertension. 2017; 70(5):1057-1064. In the general population, increasing number of risk factors is associated with accelerated deterioration of specific indices of vascular aging, such as pulse wave velocity and augmentation index; in contrast, flow-mediated dilatation and carotid intima–media thickness are insensitive to such changes. Accordingly, the former may be more useful for gauging vascular aging. Burgoyne JR, Prysyazhna O, Richards DA et al. Hypertension. 2017; 70(3):577-586. These studies, therefore, provide validation of PKG Iα C42 as the target of G1, as well as proof-of-principle for a new class of antihypertensive drugs that have potential for further development for clinical use in humans. Puttnam R, Davis BR, Pressel SL et al. JAMA Intern Med. 2017; 177(1):67-76. These findings from a large randomized clinical trial provide evidence of a beneficial effect of thiazide-type diuretic therapy in reducing hip and pelvic fracture risk compared with treatment with other antihypertensive medications. Webster LM, Myers JE, Nelson-Piercy C, et al. Hypertension. 2017; 70(5):915-922. Labetalol and nifedipine control mean blood pressure to target in pregnant women with chronic hypertension. This study provides support for a larger definitive trial scrutinizing the benefits and side effects of first-line antihypertensive treatment. Kuwabara M, Niwa K, Hisatome I et al. Hypertension. 2017; 69(6):1036-1044. This meta-analysis suggested that metformin could effectively lower SBP in nondiabetic patients, especially in those with impaired glucose tolerance or obesity. McGrath ER, Espie CA, Power A et al. Am J Hypertens. 2017; 30(3):319-327. A simple, low-cost, web-delivered sleep intervention is feasible and significantly improves sleep quality and measures of psychosocial health in individuals with mild sleep impairment but does not result in shortterm improvements in blood pressure. Beeftink MM, van der Sande NG, Bots ML et al. Hypertension. 2017; 69(5):927-932. Discontinuation of antihypertensive medication for the diagnostic evaluation of hypertension does not increase the acute risk of cardiovascular events when performed in a well-controlled setting in specialized hospitals with appropriate protocols for monitoring safety. Lorbeer R, Bayerl C, Auweter S et al. J Hypertens. 2017; 35(4):737-744. MRI derived subclinical hepatic fat fraction is associated with SBP and DBP as well as with hypertension in participants from the general population without history of cardiovascular disease. Moving on to the last part of our 2017 Highlights set, we will now take a look at some of the interesting statements and reviews released last year. 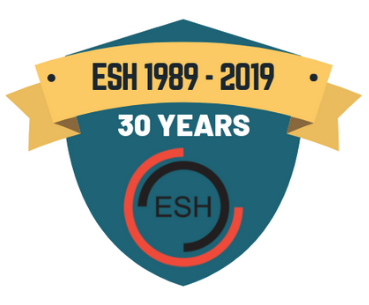 To start with, the ESH published three clinical practice newsletters (on Left Ventricular Hypertrophy, on Device Therapies for Resistant Hypertension and on Blood Pressure Targets in Acute Intracerebral Hemorrhage) that you can find here. This year had it all: from earth-shaking guidelines to first ever released consensus documents. Sarafidis PA, Persu A, Agarwal R et al. J Hypertens. 2017; 35(4):657-676. This document is an overview of the diagnosis, epidemiology, pathogenesis and treatment of hypertension in patients on dialysis, aiming to offer the renal physician practical recommendations based on current knowledge and expert opinion and to highlight areas for future research. Perrone-Filardi P, Coca A, Galderisi M, Paolillo S et al. J Hypertens. 2017; 35(9):1727-1741. doi: 10.1097/HJH.0000000000001396. 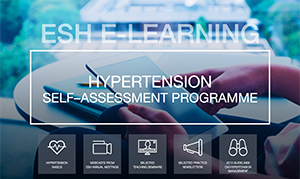 The aim of this article is to provide the community of cardiology with an update on appropriate and justified use of noninvasive imaging tests in the growing population of hypertensive patients. Flynn JT, Kaelber DC, Baker-Smith CM et al. Pediatrics. 2017; 140(3). pii: e20171904. 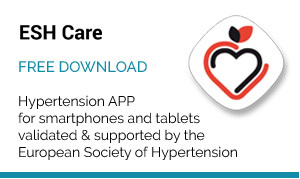 This clinical practice guideline, endorsed by the American Heart Association, is intended to foster a patient- and family-centered approach to care, reduce unnecessary and costly medical interventions, improve patient diagnoses and outcomes, support implementation, and provide direction for future research. Coca A1, Agabiti-Rosei E, Cifkova R et al. J Hypertens. 2017; 35(8):1546-1553. This article reviews the pros and cons of cardiovascular prevention by the polypill approach. It is argued that the high prevalence of individuals with a multifactorial risk profile provides a strong rationale for a therapeutic strategy based on the combination in a single tablet of drugs against different risk factors. It is further argued that other important favourable arguments exist. Mahfoud F, Schmieder RE, Azizi M, et al. Eur Heart J. 2017; 38(44):3272-3281. Lip GYH, Coca A, Kahan T et al. Europace. 2017; 19(6):891-911. Whelton PK, Carey RM, Aronow WS et al. J Am Coll Cardiol. 2017. pii: S0735-1097(17)41519-1. Kovesdy CP, Appel LJ, Grams ME et al. J Am Soc Hypertens. 2017; 11(12):783-800. In this jointly sponsored effort between the American Society of Hypertension and the National Kidney Foundation, 3 panels of researchers and practitioners from various disciplines discussed and summarized current understanding of the role of potassium in health and disease, focusing on cardiovascular, nutritional, and kidney considerations associated with both hypo- and hyperkalemia. 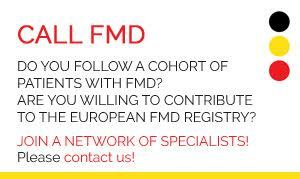 Ferdinand KC, Senatore FF, Clayton-Jeter H et al. J Am Coll Cardiol. 2017; 69(4):437-451.